Alexander Rose Portofino Extendable Table: The Portofino Extendable Table by Alexander Rose is a perfect blend of contemporary and timeless minimalism design and great for blending comfortably into garden surroundings. The Alexander Rose Extending Table will seat eight to twelve people and can be combined with Portofino chairs to produce a garden set which will fit all the family. 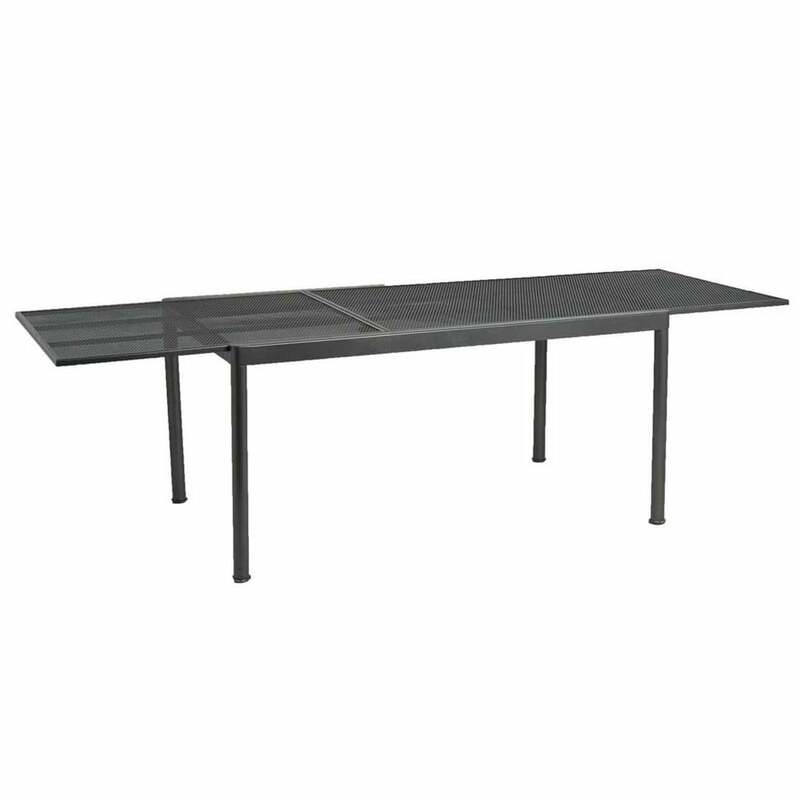 The Portofino Extendable Table is made from fine powder coated, tubular steel free with wire mesh which is fused to the frame with great precision producing a soft blend between the two materials. The Alexander Rose Dining Table features a weather and UV resistant design and has a 5 year manufacturer’s warranty included.